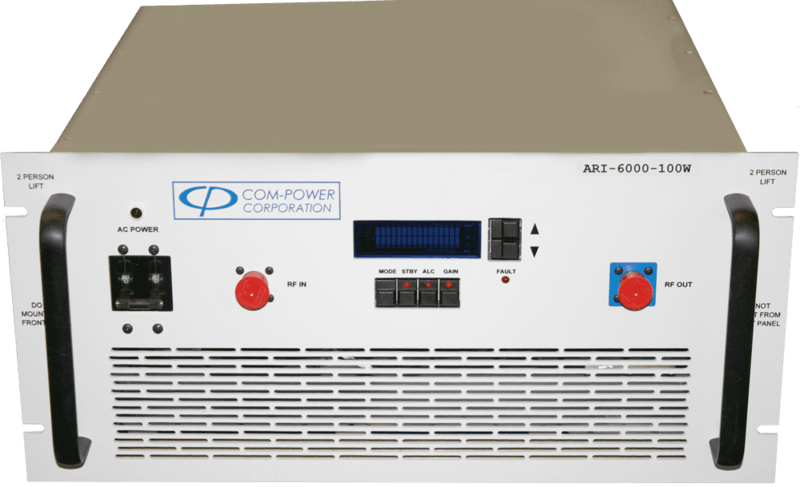 The ARI-6000-100W is part of Com-Power's series of broadband RF amplifiers; diverse in application, yet specifically geared for use in EMC immunity testing applications. The ARI-6000-100W model was engineered to provide high gain, with excellent efficiency and reliability, at an unbeatable price. It has 53 dB gain minimum, 100 Watt typical power output.